E –Smoking is term used for people that use an electronic cigarette to ingest nicotine. 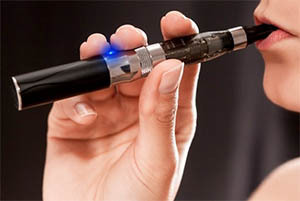 An electronic cigarette is made up of several basic components that turns e liquid, which usually contains nicotine, into a vapour that users can inhale into their lings mimicking the sensation of smoking a real cigarette but without the harm. E smoking does NOT leave any nasty smells like a tobacco cigarette and does not have the amount of lethal passive smoking risk that tobacco smoking has. The vapour inhaled by e smokers feels and looks like smoke but is actually vapourised liquid. Over the last 3 years the amount of e smokers has increased to the point where statistics show in 2013 that over 1.5 million people in the UK are known to be e smoking. This figure is set to double at least by the end of 2014.